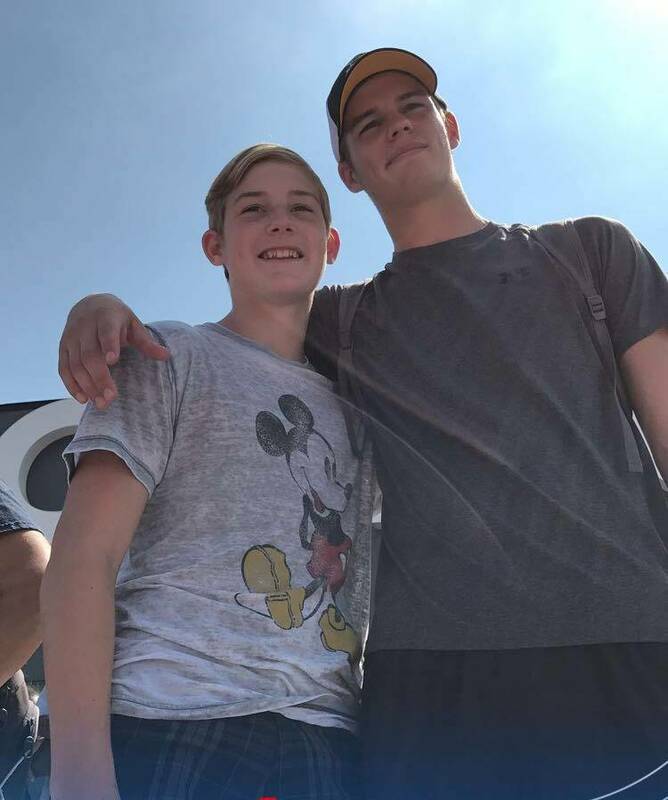 Boulder City High School track and field athletes Zach and Jake Trone participated in the 2017 USA Track &Field National Junior Olympic Championships from July 24-30 in Lawrence, Kansas, showcasing their talents among the top athletes in the country. Sara Fisher Jake, left, and Zach Trone Zach and Jake Trone competed in the 2017 USA Track & Field National Junior Olympic Championships in Lawrence, Kansas, on July 24-30. Participating in the triple jump competition for the 17-18-year-old age bracket, Zach, who will be a senior this season, placed 38th out of 56 competitors with a jump of 43 feet, 3.25 inches. Zach previously placed fifth at the Region 15 qualifier in Escondido, California, with a leap of 43-6.8. Competing in the 13-14-year-old age bracket, Jake, who will be a freshman this year, finished 27th out of 50 competitors with a jump of 36-3.5 at Rock Chalk Park. At the Region 15 qualifier, Jake completed a jump of 36-2.6, placing fourth. Both jumps would have qualified him for the 3A Southern Region finals this past season with the Eagles. Fisher said she has high hopes for Jake’s first high school season. Jordyn Trobiani, a 2017 graduate who qualified for the meet in the triple jump and high jump, was unable to make the trip. Trobiani placed fifth in the triple jump with a leap of 30-5.7 at the Region 15 qualifier, while clearing the qualifying mark of 4-7.9 in the high jump. She will be a freshman at Hastings College in Hastings, Nebraska, where she’s expected to have an immediate impact.